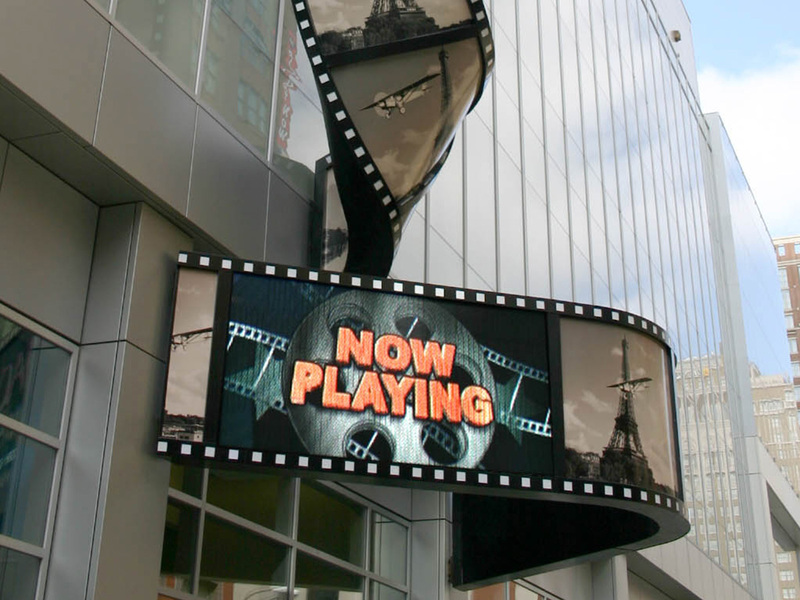 Theaters have a long history of utilizing some of the most iconic and memorable signage. 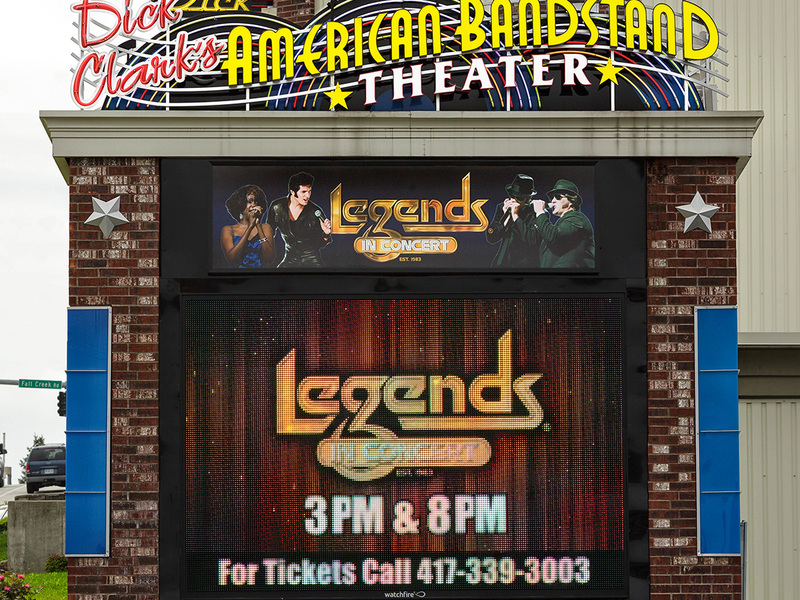 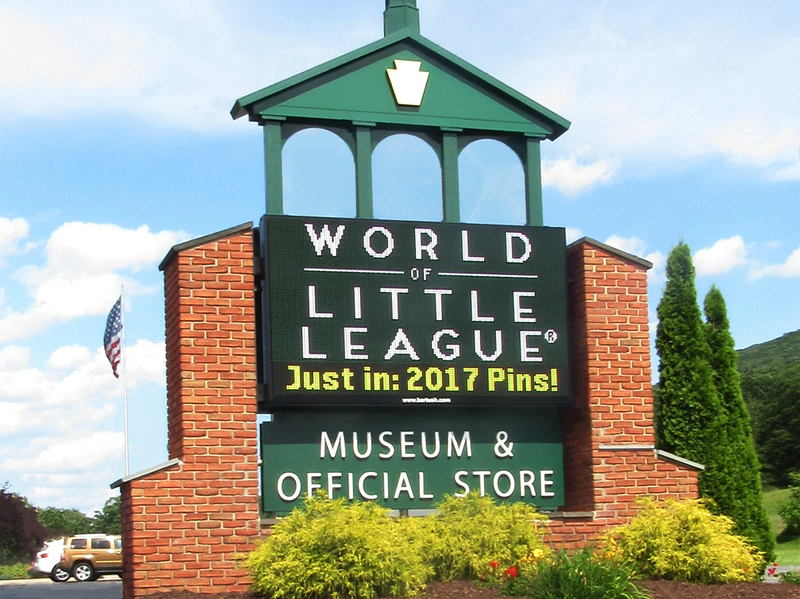 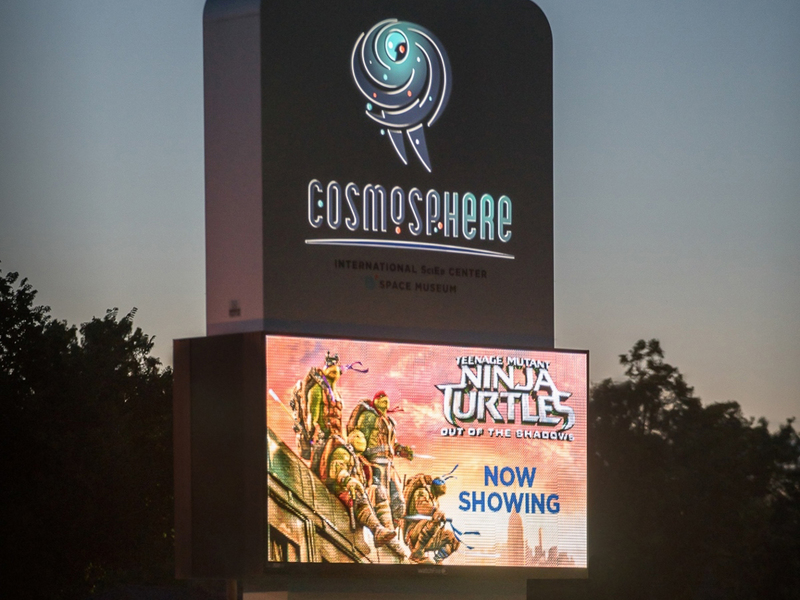 A Watchfire LED sign can help you sell tickets and fill seats, while providing dynamic visuals that enhance historic marquees. 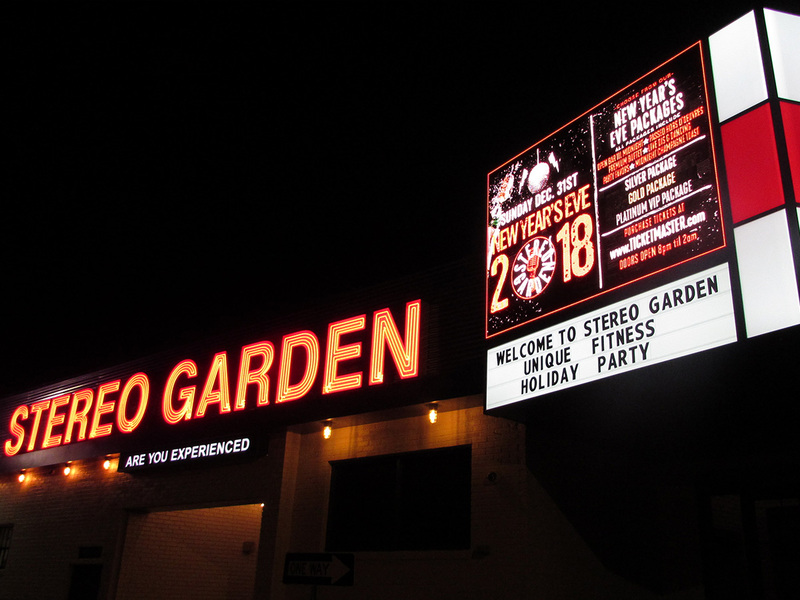 The newest advances in LED technology seamlessly match the look of older marquees with technology that is more energy efficient and responsive. 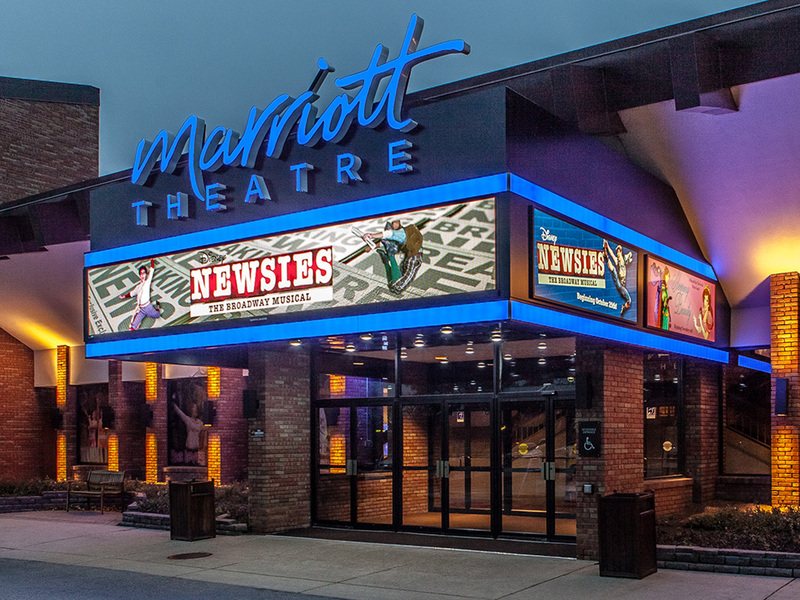 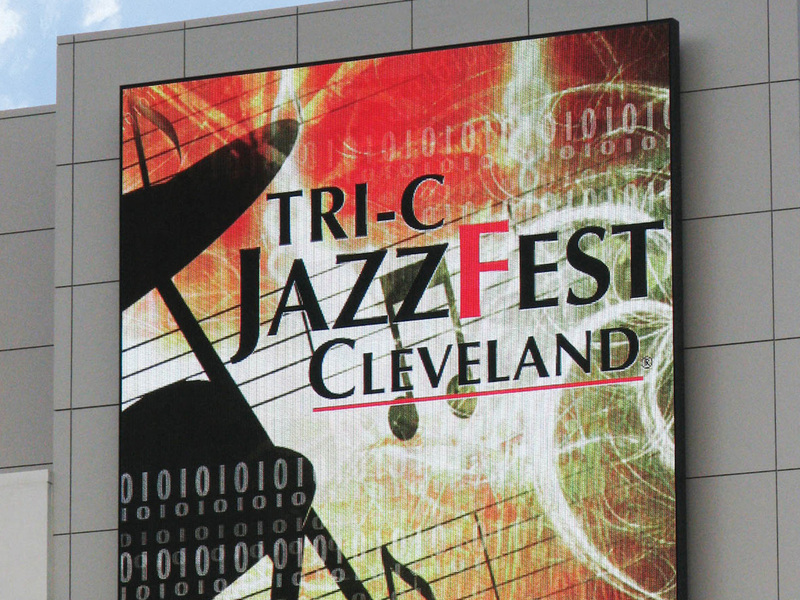 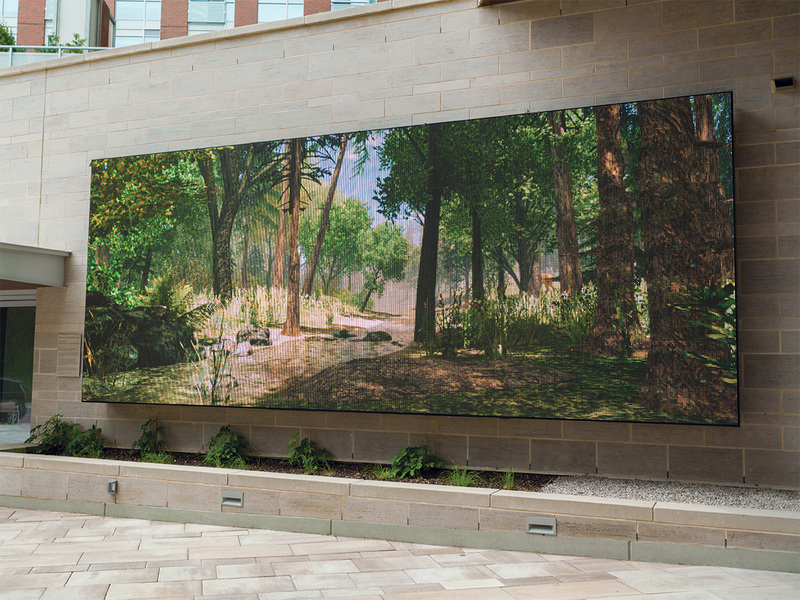 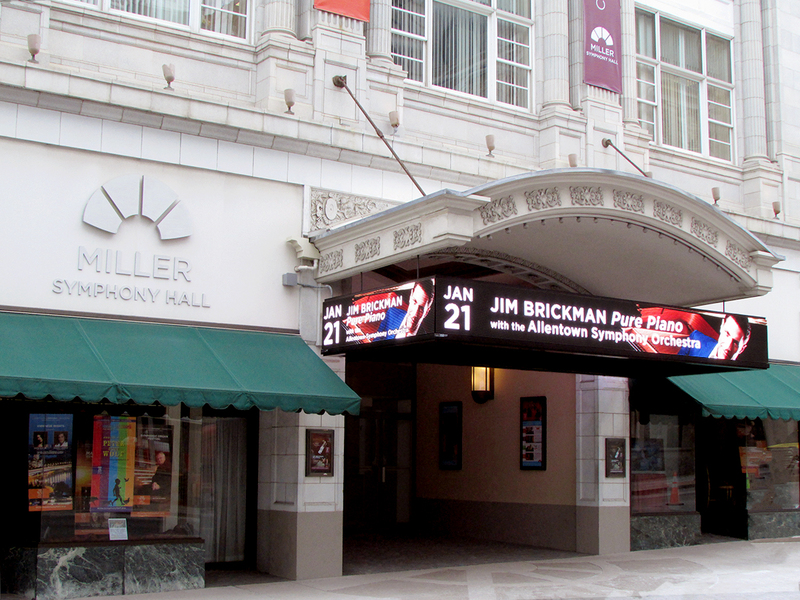 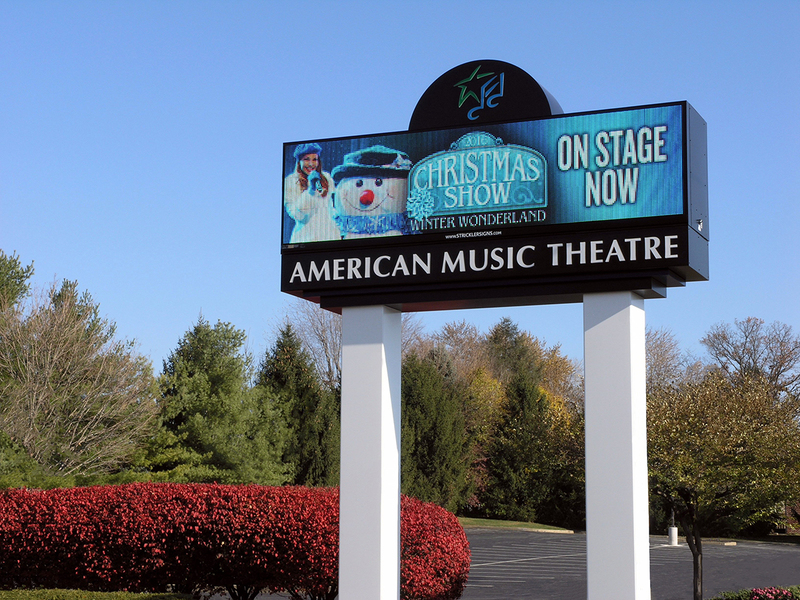 An LED sign gives art venues and theaters the greatest flexibility to communicate effectively with their communities. 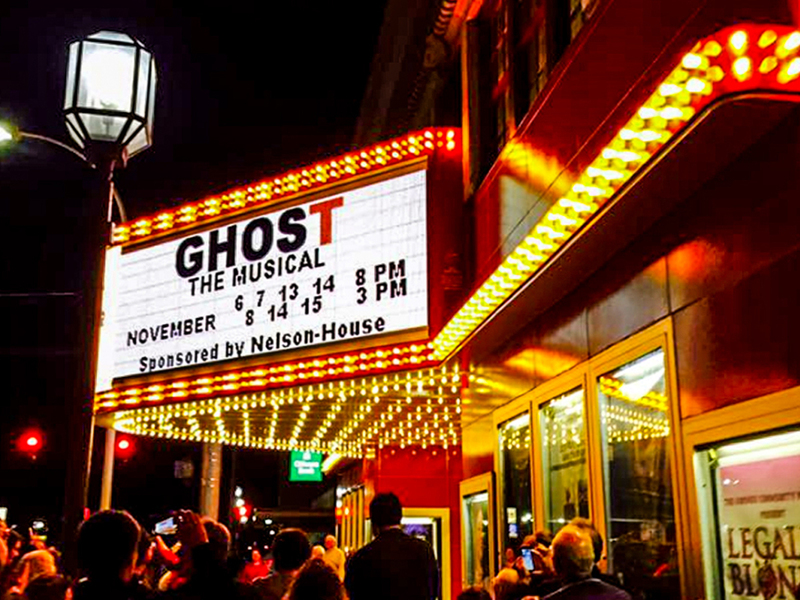 Use a digital sign to announce casting calls, thank patrons and donors, and promote scheduled events. 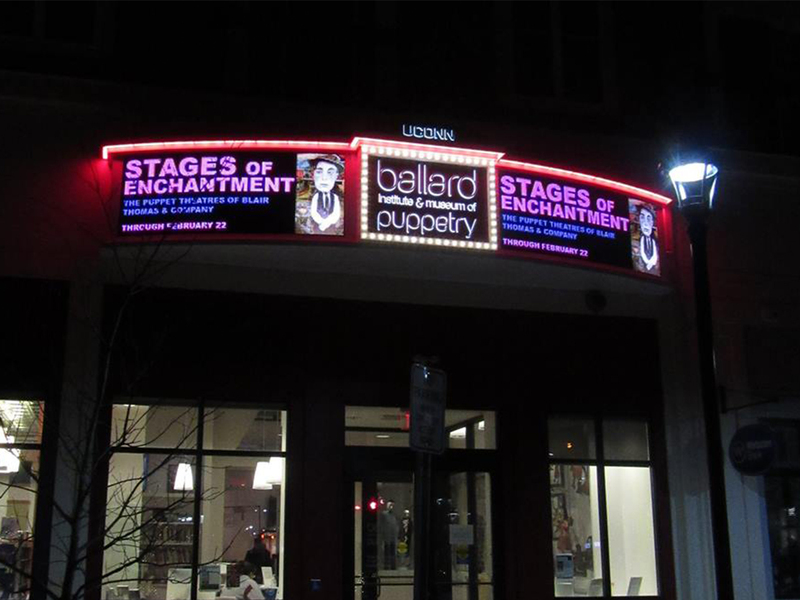 Or, use an LED sign to further your mission by sharing and showing off the work of local artists. 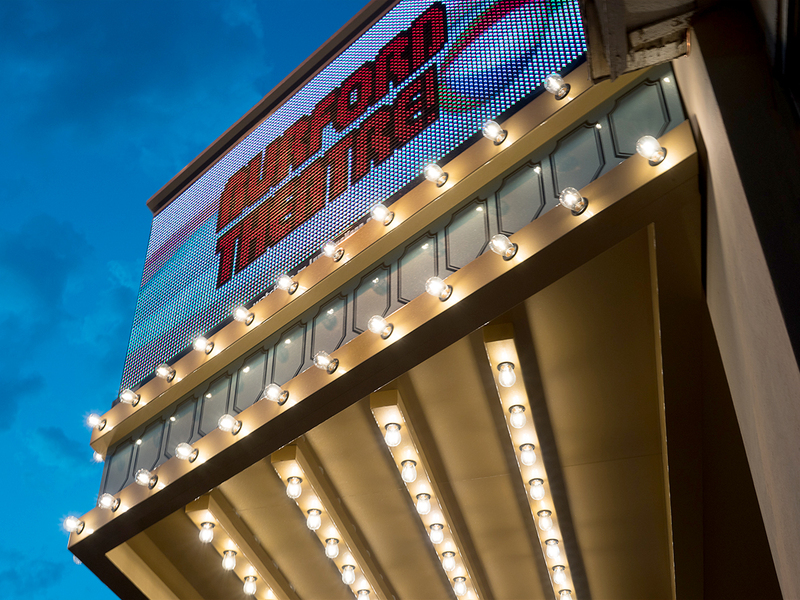 Watchfire has helped to restore historic theater signage and has worked on public art installations and video walls. 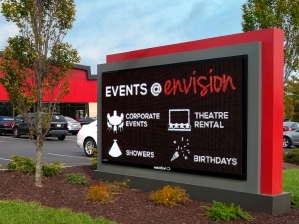 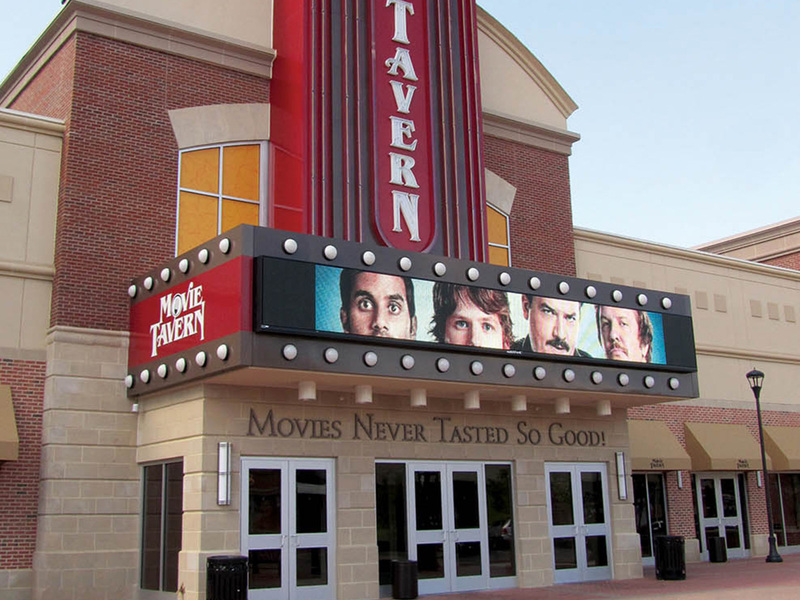 Stereo Garden; 10mm, 7'5" x 10'3"
Little League Museum; 16mm, 5'5" x 9'3"
Marriott Theatre; 10mm, 3'5" x 22'3"
Envision Cinemas Bar & Grille; 12mm, 5'5" x 9'3"
Daniels Corporation; 10mm, 9'5" x 22'3"
Cosmosphere; 10mm, 5'5" x 10'3"
Lebowsky Center; 16mm, 5'10" x 15'1"
Miller Symphony Hall; 10mm, 2'5" x 4'6"
Burford Theater; 16mm, 3'5" x 7'3"
American Music Theatre; 12mm, 3'5" x 12'3"
Spinnaker Theater; 12mm, 5'5" x 10'3"
Ballard Institute and Museum of Puppetry; 12mm, 3'5" x 8'3"
“The marquee is a nice, high-tech addition to a nice old building."